If you're using an Apple's iPhone, iPad and iPod device having Siri feature self-integrated and also using Launch Center Pro App and if you're also a traveler and uses Google Maps every day for your daily tasks than here's a good news for you, What if you can order Apple's Siri function and Launch Center Pro App to give you road directions on Google Maps through Voice Command? Yes, it’s possible, iPhone, iPad and iPod device users can now able to Get Google Maps Directions Using Apple Siri Voice Command and Launch Center Pro App via URL Scheme function. Google Maps for iOS is officially available for iPhone, iPad and iPod devices and its widely use Mapping App as compare to any other Mapping App available for iOS, even iOS 3D Maps is not closer to it in terms of features and options because Google Maps brings some unique function in the form of URL Schemes that allow its developers and standard users to raise the Maps App with different functionality at their own choice. So what is URL Schemes in Google Maps and how it can be used with Apple Siri and Launch Center Pro to Get Google Maps Directions through Voice Command via URL Scheme? Basically, URL Schemes allow users to launch the Maps App directly into different views or to begin using different aspects of the software, which means we can pass in a number of different parameters to the comgooglemaps:// URL scheme to get it to do the things that we want according to our own choice. So Apple iDevice users can actually raise Google Maps and pass in an address to navigate to using Apple’s Siri voice assistant and also by using the Launch Center Pro App. So we will show our users How to Open and Get Google Maps Directions by Using Apple Siri Voice Command and Launch Center Pro App via URL Scheme through our step-by-step guidelines mentioned below, you just need to follow our tutorial and guide to play with Google Maps and Apple's Siri Voice Assistant tool and Launch Center Pro App. Firstly we will try to open Google Maps directions using Siri and then we will try to Open Google Maps directions using Launch Center Pro. How to Open and Get Google Maps Directions Using Apple's Siri for iPhone, iPad and iPod? Apple's Siri is only capable to launch Apps into iPhone, iPad and iPod but it can't pass parameters but by creating a contact card containing our custom built URL Scheme we can actually make Apple's Siri to display the contact card and allow us to simply tap the link address that will open Google Maps App and pass in our directional parameters. So how we will do it? Follow our steps and guide below. Step 1: First you have to be sure that Google Maps is installed on your iPhone, iPad and iPod devices, otherwise this tutorial won't work. If Google Maps is not installed, than you can install it from Here. Step 2: Open the Contacts app and press the ‘+‘ button to add a new contact. Give the contact a name and select the Homepage field in preparation for adding the URL scheme that will invoke Maps. Note: The actual required destination would need to be added in place of The Grand Canyon used in the example above. This could be your home address that would allow you to always get directions home from the current location. Google Maps is also smart enough to recognize a blank starting address parameter, which means that we want it to take the current location as the starting address for directions. Step 4: Save the contact, invoke Siri and give the order to call the name that you saved the contact under. When Siri replies saying there is no number associated with that particular entry, simply tap the homepage link in the calling card and it will open up Google Maps and provide the route with the passed in parameters. 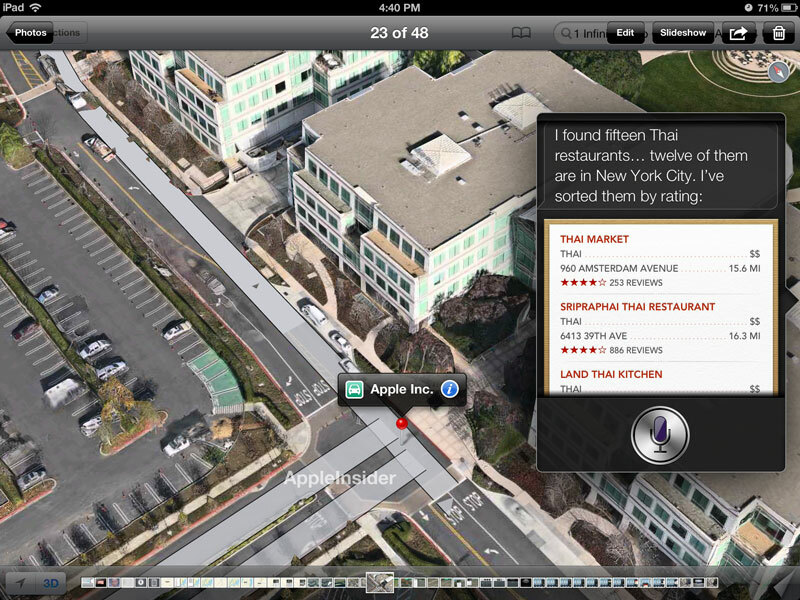 How to Open and Get Google Maps Directions Using Launch Center Pro for iPhone, iPad and iPod? For those users who are new we will tell you what Launch Center Pro is, Launch Center Pro is a popular App Store application that allows users to set up quick actions using URL schemes meaning commonly used parts of different apps can be used instantly. So how it works? Follow our steps and guide below. Step 1: First you have to be sure that Launch Center Pro App is installed on your iPhone, iPad and iPod devices, otherwise this tutorial won't work. If Launch Center Pro is not installed, than you can install it from Here. Step 2: Set up a new Action within Launch Center Pro and give it a name of your choice. Something like Maps or GMap Directions, something that is easy to understand. Step 4: Setting the [prompt] parameter will open up the keyboard entry within Launch Center Pro and allow us to manually specify a destination address.